Transitional atrioventricular septal defects are uncommon congenital heart defects and diagnosis is usually made in childhood. Anyways, including CHD in the differential diagnosis of symptoms such as chronic dyspnea is important also in adulthood. When dyspnea in adult patients is not related to pulmonary or cardiac disease, an undiagnosed CHD should be considered a possible cause. A 50-year-old man referred to cardiological examination for exertional dyspnea lasting several months. He was always been fine, so he had never made any medical evaluation. He never smoked, and he never got any drugs. He was asymptomatic at rest. The vital signs were heart rate – 75 beats/min (bpm), blood pressure – 135/80 mmHg, and oxygen saturation – 94% on room air. He had mild reduced breath sounds on both lungs, cardiac auscultation showed a soft systolic murmur, and mild peripheral edema was observed. Electrocardiogram (ECG) demonstrated sinus rhythm, heart rate – 75 bpm, right bundle branch, and left anterior fascicular block. 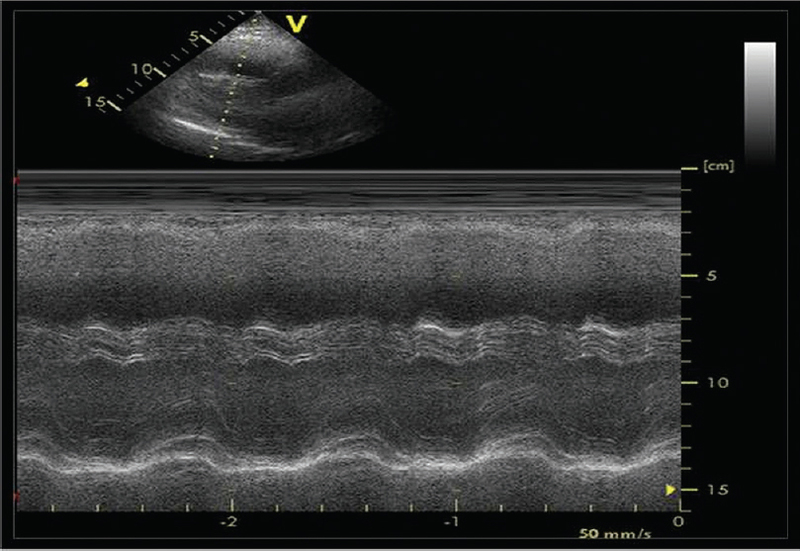 Transthoracic echocardiography showed normal left ventricular chamber size and wall thicknesses (end-diastolic diameter 48 mm, interventricular septum 10 mm, and posterior wall 9 mm) [Figure 1] and normal systolic function (Simpson rule ejection fraction 60%); right ventricle was dilated (basal diameter 46 mm) [Video 1] with preserved longitudinal systolic function (TAPSE 24 mm, S': 12 cm/s). There was paradoxical movement of interventricular septum due to volume overload in right ventricle. Estimated systolic pulmonary pressure resulted increased (55 mmHg). There was no pericardial effusion, and inferior vena cava was mild dilated (21 mm) with reduced respiratory excursions. 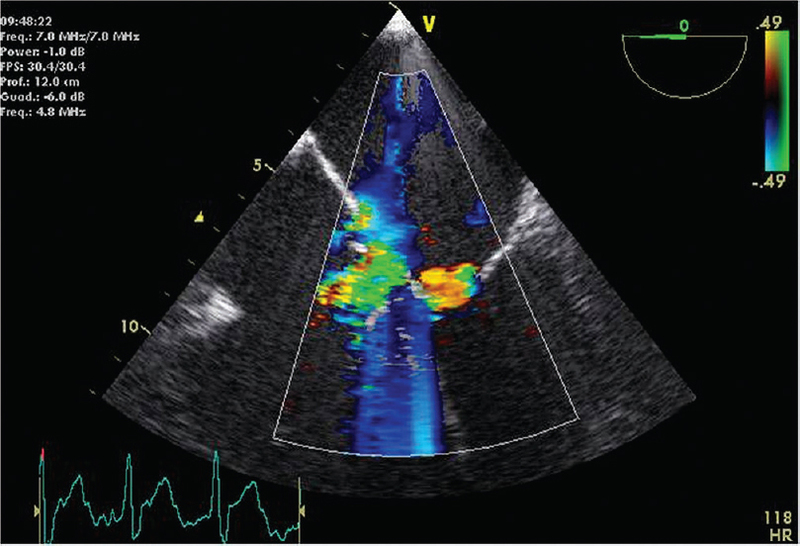 Color-Doppler showed a significant left-to-right shunt both at interatrial and interventricular septum [Figure 2], and moderate mitral valve regurgitation was present probably due to a cleft in the anterior leaflet [Figure 3]. We suspected an atrioventricular (AV) canal diagnosis, but unfortunately, the acoustic window did not allow the whole understanding of cardiac defect anatomy. Thus, a transesophageal echocardiography (TEE) was performed in every echocardiographic sections, providing detailed anatomical information. Unluckily, poor tolerance of patient on the probe did not allow a good quality of transgastric view. 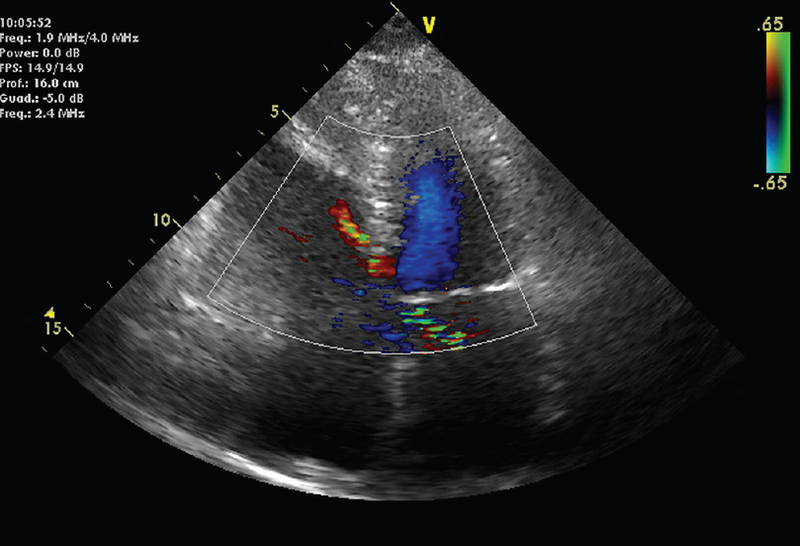 It demonstrated: A 25 mm ostium primum defect with hemodynamically significant left-to-right shunting, a “cleft” in the anterior leaflet leading to moderate regurgitation of AV valve, a restrictive small ventricular septal defect [Figure 4],[Figure 5] and [Video 2],[Video 3]. Diagnosis of transitional AV defect was done. Three-dimensional (3D) echocardiography might be useful to provide better visualization and understanding of the anatomy of the cardiopathy than 2D imaging. Unluckily, our center has no 3D echocardiography yet. However, 2D TEE allowed the correct diagnosis. Thus, oral diuretic therapy was recommended. The patient was inserted on the waiting list for an elective hospitalization to perform right cardiac catheterization, coronary angiography, and reparative cardiac surgery. Chronic dyspnea has been defined as shortness of breath lasting for more than 1 month. When shortness of breath is greater than expected for a given level of exertion, it is considered pathologic and symptom of disease. There are several causes of dyspnea. About the clinical origin of cardiac dyspnea in adulthood, physician usually considers valvular cardiopathy, hypertensive cardiopathy, ischemic cardiopathy, cardiomyopathies, and arrhythmias (atrial fibrillation and bradycardia). Rarely, a grown-up congenital heart disease (CHD) is diagnosed in adulthood for the first time. Generally, people made an ECG or an echocardiogram in screening and symptoms of most CHD infrequently started in adulthood. AV septal defects (AVSD) cover a range of congenital cardiac malformations that have in common a single AV junction without AV septation. They are also referred to as AV canal defects, endocardial cushion defects, or persistent AV ostium. AVSD account for about 4%–5% of CHD., Diagnoses in fetuses accounted for a larger proportion of detected CHD, estimating 18% of total diagnosis., Three different genetic patterns exist: association with Down syndrome, autosomal dominant trait, and isolated. There is a strong association with Down syndrome, and risk of Down syndrome in fetuses with AVSD detected is reported to range from 40% to 50%. AVSD encompass a broad range of AVSD and abnormalities of AV valves. The main classification separates AVSD based on anatomical features. Partial AVSD is characterized by common AV junction and two separated AV valves because of the fusion of the superior and inferior leaflets (bridging leaflets) across the crest of the interventricular septum which gives to left AV valve a trifoliate configuration. It included ostium primum atrial septum defect (ASD OP), zone of apposition in the left AV valve, and intact interventricular septum. Intermediate AVSD is characterized by ASD OP, restrictive ventricular septum defect (VSD), and separated but abnormal AV valves, with zone of apposition in the left AV valve. Valve abnormalities may be complex and difficult to repair, and chordal attachment often contributes to the partial closure of VSD. It is commonly observed in non-Down patients. The frequency of this cardiac finding is less than partial AVSD, but it is important to recognize this form because it may require modifications in surgical approach. Van Praagh and Litovsky classification distinguishes intermediate AVSD from transitional AVSD, which has a few small interstices between the attachments of the leaflets of the common AV valve to the muscular ventricular septal crest. One or more very small ventricular septal defects are present in this form of AVSD. Complete AV canal has three components: a continuous atrial with ventricular septal defect only separated by superior and inferior bridging leaflets, a space between the bridging leaflets, and a common AV valve orifice.,, In addition, variation of complete AV canal defect is categorized by AV valve morphology in Rastelli classification, which is based on the anatomy of superior bridging leaflet and its chordal attachment. Thus, while in complete AVSD, there is a single common AV valve consisting of five leaflets, in partial, transitional, and intermediate AVSD, there is a single AV junction but two AV valves. Left AV valve is usually trifoliate arising from the fusion of the superior and inferior leaflets. The left AV valve is morphologically different from the mitral valve, even when there are two separate AV valve orifices. The so-called “cleft” is the point of apposition between the two bridging leaflets. It causes varying degrees of valvular regurgitation (rarely also stenosis is possible). This morphology is different from isolated clefts observed in structurally normal mitral valve in which the solution of continuity does not divide the leaflet into two separated parts. The distinction between the two different types of cleft is important both for the correct diagnosis and the different surgical approaches. Furthermore, in AVSD “cleft,” closure of edges does not transform the left AV valve into an anatomically normal valve. Clinical presentation and evolution are related to the specific morphology of the defect and to the presence of associated defects. Patients with complete AVSD usually become symptomatic within the 1st year of life, presenting congestive cardiac failure. Pulmonary vascular disease develops within a few months, and an early operation is recommended. Symptoms in patients with partial and intermediate AVSD depend primarily on the degree of left AV valve incompetence. 10% to 15% of patients with partial AVSD have important incompetence and require treatment in infancy. Second, they depend on the defect size and the degree of left-to-right-shunting. If left AV valvular regurgitation is mild, timing of symptoms is the same of patients with wide ASD. Some small ASDs close spontaneously during the first few years of life. Persistent moderate-to-large ASD results in large shunts, leading to right atrial and right ventricular volume overload. If unrepaired, these large shunts may lead to pulmonary artery hypertension, elevated pulmonary vascular resistance and right ventricular hypertrophy, dilatation, and systolic dysfunction. Most patients with small- or moderate-sized atrial septal defects are asymptomatic. Even large ASD may not cause symptoms in young children and may cause exercise intolerance, dyspnea during exertion, arrhythmias, and paradoxical embolization in older patients. Thus, older patients with ASD could be asymptomatic until fifth decade, then they will become gradually symptomatic for congestive heart failure, arrhythmias, and pulmonary hypertension when volume overload due to left-to-right shunt overcomes compensation mechanisms changing atrial and ventricular dimension or performance. Indication for surgery is elective and it may be performed in childhood, adolescence or rarely in adulthood. The surprising echocardiographic diagnosis because cardiologist generally does not consider a CHD as a possible cause of chronic dyspnea in adulthood. Transitional AVSD are uncommon CHD. Diagnosis usually is made in childhood, thanks to an echocardiogram performed for several reasons: presenting of symptoms such as exertional dyspnea or palpitation, auscultation of cardiac murmurs by pediatrician, and evidence of abnormalities on ECG done for sportive activities. Rarely adult patients have first diagnosis of AVSD presenting congestive cardiac failure symptoms. Our case is characterized by the undiagnosed AVSD until the age of fifty, in a patient who never underwent medical examination and never referred any symptoms until the sixth decade. Nowadays, diagnosis of CHD is earlier, but when dyspnea in adult patients is not related to pulmonary or cardiac disease such as valvular, hypertensive, and ischemic cardiopathy, an undiagnosed CHD should be considered a possible cause. Hoffman JI. Incidence of congenital heart disease: I. Postnatal incidence. Pediatr Cardiol 1995;16:103-13. Reller MD, Strickland MJ, Riehle-Colarusso T, Mahle WT, Correa A. Prevalence of congenital heart defects in metropolitan Atlanta, 1998-2005. J Pediatr 2008;153:807-13. Cook AC, Allan LD, Anderson RH, Sharland G, Fagg NL. 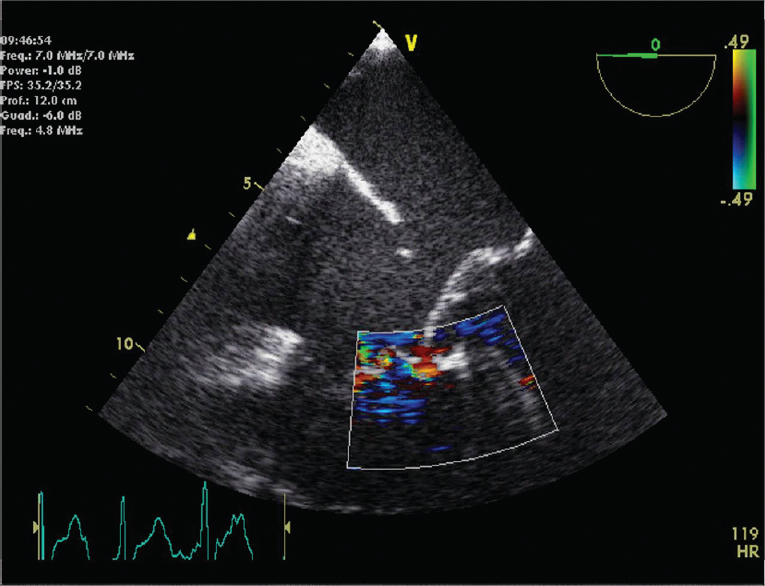 Atrioventricular septal defect in fetal life: A clinico-pathological correlation. Cardiol Young 1991;1:334. Allan LD, Sharland GK, Milburn A, Lockhart SM, Groves AM, Anderson RH, et al. Prospective diagnosis of 1,006 consecutive cases of congenital heart disease in the fetus. J Am Coll Cardiol 1994;23:1452-8. Korenberg JR, Bradley C, Disteche CM. Down syndrome: Molecular mapping of the congenital heart disease and duodenal stenosis. Am J Hum Genet 1992;50:294-302. Gatzoulis MA, Therrien J, Swan L, Pantely GA. Cardiopatie Congenite Dell'adulto: una guida pratica. Springer; 2007. p. 95-99. Pearl JM, Laks H. Intermediate and complete forms of atrioventricular canal. Semin Thorac Cardiovasc Surg 1997;9:8-20. Van Praagh R, Litovsky S. Pathology and embryology of common atrioventricular canal. Prog Pediatr Cardiol 1999;10:115-27. Craig B. Atrioventricular septal defect: From fetus to adult. Heart 2006;92:1879-85. Calkoen EE, Hazekamp MG, Blom NA, Elders BB, Gittenberger-de Groot AC, Haak MC, et al. 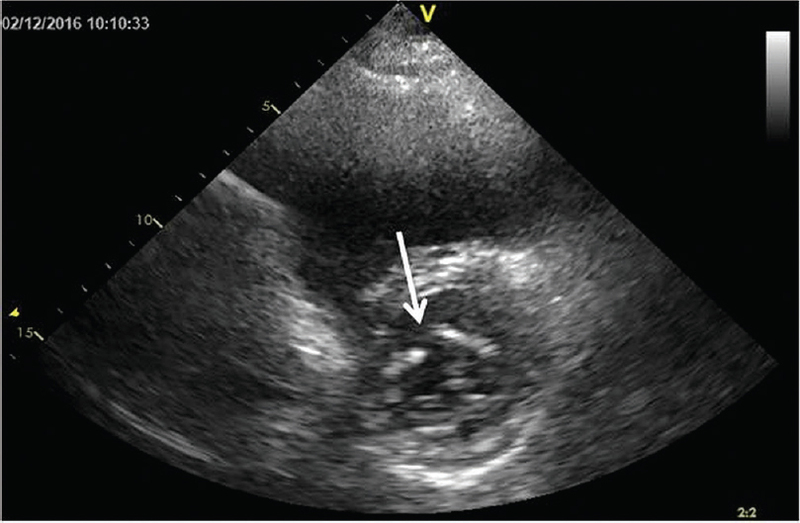 Atrioventricular septal defect: From embryonic development to long-term follow-up. Int J Cardiol 2016;202:784-95. Moreno N, Almeida J, Amorim MJ. Atrioventricular septal defect in an adult patient: There are 'clefts' and clefts. Rev Port Cardiol 2016;35:181.e1-4. Haworth SG. Pulmonary vascular bed in children with complete atrioventricular septal defect: Relation between structural and hemodynamic abnormalities. Am J Cardiol 1986;57:833-9. Barratt-Boyes BG, Neutze JM, Harris EA. Correction of atrioventricular canal defects in infancy using profound hypothermia. Heart Disease in Infancy: Diagnosis and Surgical Treatment. Edinburgh, Churchill Livingstone; 1973. p. 110. Bonow RO, Mann DL, Zipes DP, Libby P. Braunwald's Heart Disease: A Textbook of Cardiovascular Medicine. 9th ed. Philadelphia, Elsevier; 2012. p. 1481-3.